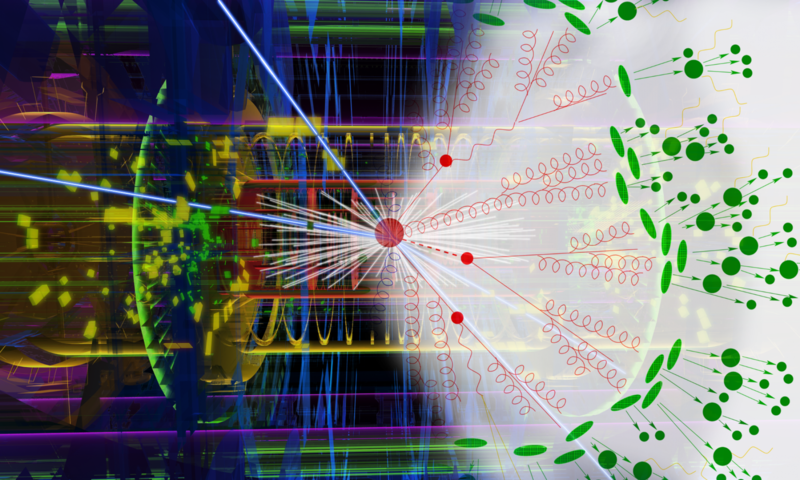 Is there anything Beyond the Standard Model? representing the limit of current knowledge. Centuries ago this curtain was given by the borders of the known world — looking beyond new countries were discovered, later we even reached out for the whole Universe. Besides making discoveries at larger and larger distance scales, we also started to investigate the smallest building blocks. Now the Standard Model is the limit of knowledge in the micro-world. The Standard Model is extremely succesful. It accurately predicts hundreds of observables at the quantum level. As an example, the prediction of g, the strength of the coupling of a photon to an electron, matches the measured value for 11 decimal digits! What is the origin of dark matter? How was matter created in the Universe? Why are neutrinos almost massless? Why do we have three copies of Quarks and Leptons ? Is there a quantum theory of Gravity ? Why is the top quarks so much heavier than the electron ? During the past century, numerous astrophysical and cosmological observations have revealed gravitational effects that cannot be explained by the luminous matter that we can see. 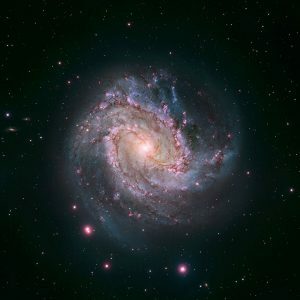 For example, galaxies seem to be rotating too fast, which suggests that they contain a substantial amount of extra matter that does not emit or absorb light. The effect of this new type of dark matter can also be observed in larger systems (such as galaxy clusters). Our observations indicate that Dark Matter is roughly five times more abundant than the ordinary visible matter that we are made of. None of the particles predicted by the Standard Model can explain the Dark Matter, as they do not have the right properties. The neutrinos would be the only possibility, but there are simply not massive enough. Dark Matter must therefore be something that experiments have never seen before! What we know is that Dark Matter must be massive, neutral, stable, and interact very weakly with ordinary particles, since otherwise we would have already observed it. Physicists have proposed extensions to the Standard Model, trying to include these elusive new particles. These new theories are currently being tested by very sensitive experiments. The IPPP is a member of the SuperCDMS collaboration which is looking for Dark Matter using 50 kilograms of cryiogenic germanium and silicon crystals. SuperCDMS is currently leading the search for massive Dark Matter particles, while other experiments, such as the Large Underground Xenon experiment, excel at searching for lighter particles. The future phase of SuperCDMS (featured in this exhibition) will operate at the SNOLAB underground laboratory in Canada. Find out how difficult it is to build a Dark Matter detector and how to detect these elusive particles! The biggest object we know about is the observable Universe. that in kilometres is 1 followed by 24 zeros! which is only 0.000000000000001 metres in diameter! The value experiments can measure is the deviation of g from 2. The predicted value is 0.0011596521816(±8), whereas the measured value is 0.0011596521807(±3). There are many suggested candidates for dark matter. Among these neutrinos, WIMPs, axions , MACHOs, gravitinos, etc. change their flavour (electronic, muonic or tauonic) when they propagate. This bizarre phenomeon is possible only if they have a very small mass . The different "copies" are called flavours or families . but some experiments may indicate this is not the case. for all the particles, and it is called the Higgs mechanism. However a clear and inexplicable mass hierachy exists. The mass of the top quark is 344000 larger that the mass of the electron! This terms connotes some kind of matter that we cannot observe. which makes up galaxies and other astrophysical objects. becoming in this way visible . Its abundance in the Universe would also be affected. The Super Cryogenic Dark Matter Search.